Saminathan, M., Rai, R.B., Dhama, K., Jangir, B.L., Suresh, S., Ranganath, G.J., Sophia, I., Karuppanasamy, K., Barathiraja, S. and Gopalakrishnan, A. (2014). Effect of Morinda citrifolia (Noni) Fruit Juice on Antioxidant, Hematological and Biochemical Parameters in N-Methyl-N-Nitrosourea (NMU) Induced Mammary Carcinogenesis in Sprague-Dawley Rats. Int. J. Pharmacol., 10(2): 109-119. Saminathan, M., Rai, R.B., Dhama, K., Tiwari, R., Chakraborty, S., Amarpal, Ranganath, G.J. 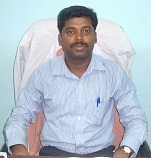 and Kannan, K. (2013). Systematic Review on Anticancer Potential and other Health Beneficial Pharmacological Activities of Novel Medicinal Plant Morinda citrifolia (Noni). Int. J. Pharmacol., 9(8): 462-492. Saminathan, M., Rai, R.B., Dhama, K., Ranganath, G.J., Murugesan, V., Kannan, K., Pavulraj, S., Gopalakrishnan, A. and Suresh, C. (2014). Histopathology and Immunohistochemical Expression of N-Methyl-N-Nitrosourea (NMU) Induced Mammary Tumours in Sprague-Dawley Rats. Asian J. Anim. Vet. Adv., 9(10): 621-640. Saminathan, M., Rana, R., Ramakrishnan, M.A., Karthik, K., Malik, Y.S. and Dhama, K. (2016). Prevalence, diagnosis, management and control of important diseases of ruminants with special reference to indian scenario. J. Exp. Biol. Agric. Sci., 4(3S): 338 – 367. Saminathan, M., Gopalakrishnan, A., Latchumikanthan, A., Milton, A.A.P., Aravind, M., Dhama, K. and Singh, R. (2015). Histopathological and parasitological study of blood-sucking Haemonchus contortus infection in sheep. Adv. Anim. Vet. Sci. 3(2): 99-108. Dhama, K., Saminathan, M., Karthik, K., Tiwari, R., Shabbir, M.Z., Kumar, N., Malik, Y.S. and Singh, R.K. (2015). Avian rotavirus enteritis – an updated review. Vet. Q., 28:1-43. Madhu, B.P., Singh, K.P., Saminathan, M., Singh, R., Tiwari, A.K., Manjunatha, V., Harish, C. and Manjunathareddy, G.B. (2016). Correlation of inducible nitric oxide synthase (iNOS) inhibition with TNF-α, caspase-1, FasL and TLR-3 in pathogenesis of rabies in mouse model. Virus Genes. 52(1): 61–70. Yatoo, M.I., Dimri, U., Gopalakrishan, A., Saminathan, M., Dhama, K., Mathesh, K., Saxena, A., Gopinath, D. and Husain, S. (2016). Antidiabetic and oxidative stress ameliorative potential of ethanolic extract of Pedicularis longiflora Rudolph. Int. J. Pharmacol., 12(3): 177-187. Baqir, M., Bhusan, S., Sharma, D., Kumar, A., Saminathan, M., Dhama, K., Sonwane, A.A., Kumar, P., Chauhan, A., Bhaladhare, A., Raveendran, R., Yadav, R. and Prakash, O. (2014). Bovine IL12RB1, IL12RB2, and IL23R polymorphisms and bovine tuberculosis (bTB) infection status. J. Pure Appl. Microbiol., 8(5): 4117-4124. Garg, R., Patil, P.K., Singh, S.V., Sharma, S., Gandham, R.K., Singh, A.V., Filia, G., Singh, P.K., Jayaraman, S., Gupta, S., Chaubey, K.K., Tiwari, R., Saminathan, M., Dhama, K. and Sohal, J.S. (2015). Comparative Evaluation of Different Test Combinations for Diagnosis of Mycobacterium avium Subspecies paratuberculosis Infecting Dairy Herds in India. BioMed Research International, vol. 2015, Article ID 983978.